Members of the Survivorship Team at Castle Hill Hospital in Cottingham are offering HOPE to people living with or beyond cancer. The team will roll out the new Macmillan HOPE Course from September, which is designed to help people who are living with cancer or who have recently completed treatment to take more control of their lives. 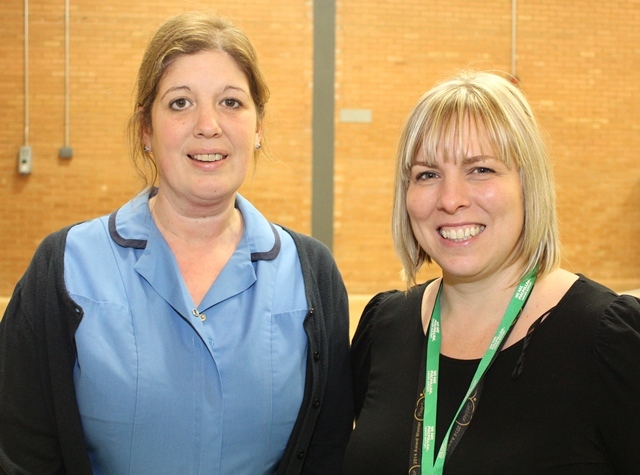 “After developing cancer, patients can experience all kinds of thoughts and go through a range of emotions, from fear of reoccurrence to depression, fatigue, or issues with body image,” says Sarah Guest, Clinical Nurse Specialist with Hull University Teaching Hospitals NHS Trust’s Survivorship Team (pictured, above left, with Claire Walker, also from the team). “The HOPE course is designed to bring people who have had a similarly life-changing experience together to learn how to manage their physical and mental well-being. Amongst other things, those taking part in the course will learn how to set goals and priorities, sleep better, get active, deal with issues related to intimacy and body changes, and feel better overall. “Going through cancer is a very personal experience, and something you can only truly understand if you’ve been there,” Sarah continues. The first HOPE course will run every Thursday morning (10am – 12:30pm) from 15th September to 20th October inclusive at the Queen’s Centre for Oncology & Haematology, Cottingham. There are 12 places available which will be allocated on a first come, first served basis, but participants must be able to attend all six weeks of the programme.